Great review Kendra, i’m getting this for chirstmas and now can’t wait! Thanks, Louise, I hope you get it and enjoy it! Loved your review, Kendra. I was completely riveted by this book and was very anxious for you to read it so I could know your thoughts on it. Glad you finally got the chance … your review was definitely worth the wait! 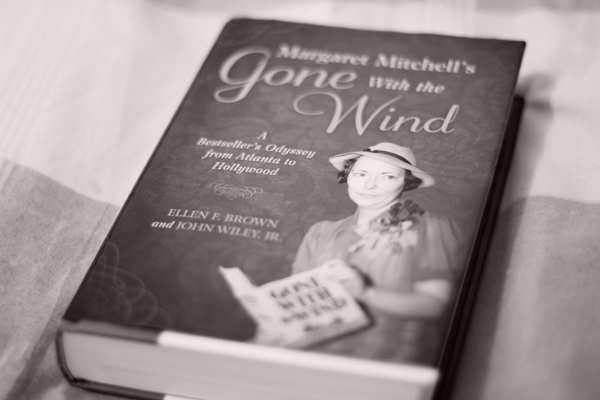 One of the interesting little nuggets of information I discovered in this book was that Margaret Mitchell entertained Vivien & Larry along with Selznick, Olivia deHavilland, and a few others at her apartment while they were in Atlanta for the GWTW premiere. That was something I’d never heard before, and all the more surprising after learning what a completely private person she was. I would have loved to have been a fly on the wall for that little soiree! I was also amused at her refusal to sign the special edition copy of GWTW that she presented to Vivien as a gift … but then she penned a special note for her which could be pasted inside, which she signed! I learned so many things about GWTW from this book that I never knew before … and this book seemed so very well-researched that I actually believe them! Thanks David! I actually had my copy since about April, but just didn’t have time to read it until now. I wonder if Vivien kept her pseudo-signed copy of the book, or if she ever pasted the autograph inside? I would love to know the answer to that question, too, Kendra! Hopefully Suzanne ended up with it. And am I just dreaming this, or didn’t Vivien have all the cast & crew of GWTW sign her copy of the novel (or was it her shooting script)? Can’t recall when or where I read that, but it sticks in my mind. 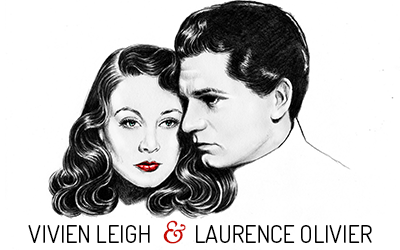 That would also be a dream piece of Vivien/GWTW memorabilia if it ever comes up for auction! Do you have any idea who ended up with her Academy Awards? I remember reading in the 90’s when her GWTW Oscar sold at auction for something like $563,000 … no mention at the time, though, of the buyer’s identity. I seem to recall that her ‘STREETCAR’ Oscar was stolen during her lifetime, but surely it was replaced. I wonder if Suzanne still has it? ‘Odyssey’ book, I’m going to start pestering you again to read Irene Selznick’s memoirs. I just know you’re going to love her as I do, and I can’t wait to read the brilliant blog post I’m sure she will inspire in you! 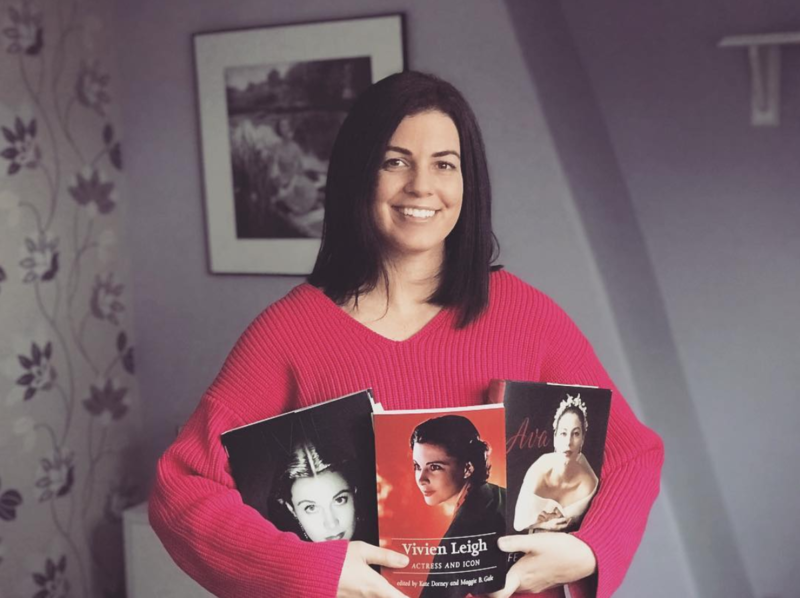 Also, once you’re hooked on her, there are so many other books that she is connected with (and that are connected to GWTW) that you will want to read … one of which is “SHOWMAN” about David O. Selznick by David Thomson; another is “LION OF HOLLYWOOD” about Louis B. Mayer by Scott Eyman. Irene figures prominently in both as you would expect (and was still alive to be used as a major source for the Selznick book). Next time you see your old friend Hugo Vickers you should ask him about her … he new her pretty well and is a big admirer (even went to her memorial service). Wrong place to say this, I know, but while I’m about it, I just wanted to say that your birthday tribute post to Vivien was beautiful. Well done as usual! And I cannot believe you were lucky enough to get a sighting of Luise Rainer (and a photo!). That was great! Haha, oh my God, so many books, so little time! The person who bought Vivien’s GWTW Oscar is apparently the guy who owns the Tumblin Collection. He lives in Hawaii.